So you think you're ready for Ballistix — and the serious speed that comes with it? If you upgrade with Ballistix DRAM, you may be required to manually configure your system in order to reach the full potential of this high-performance memory. To ensure compatibility, all Ballistix modules contain an industry-standard profile. Your system may default to this lower, industry-standard speed and configuration after installation, as this allows it to operate within its rated specification-and function properly. To unleash the potential that comes with Ballistix memory, your system may require some additional tuning or adjustments. Do you have what it takes to get your memory running at optimal performance? Your entire system configuration will need to support certain settings or configuration values, which may require manually changing the BIOS setup. You may also need to adjust voltage, timings, speed, and other settings. Please refer to your operating manual for details on configuration and supported BIOS values; specific system performance may vary and unsupported configurations may revert to industry-standard or system defaults. Overclocking (running your system faster than published speed) or otherwise modifying your system timing may result in damage to computer components. If you plan to operate your hardware outside of specifications, do so at your own risk. Are you looking for performance with ease of configuration? If you want Ballistix-level performance but are concerned with the manual configuration associated with it, you may want to consider the special performance profiles that we've incorporated into some of our Ballistix products. 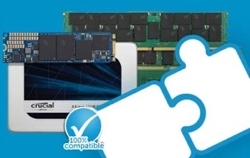 Certain chipset and motherboard combinations support memory performance profiles-and these systems, when paired with performance profiles, benefit from easier configuration. Normally these require only one or two setting changes in the BIOS in order to achieve your performance nirvana. Ballistix is a great selection for many of today's advanced systems and Crucial makes it easy to find a solution. If we have recommended Ballistix products through one of our online configuration tools, rest assured it is compatible with you system. Just keep in mind that some system configurations may not operate at the published Crucial Ballistix memory speed and timing settings. Actual performance may vary based on configuration, usage, and manufacturing variability. Be sure to take advantage of the Crucial system scanner or advisor tool to see if Ballistix will run in your system. Try our new MX500 for ultimate speed and performance. No brainer. 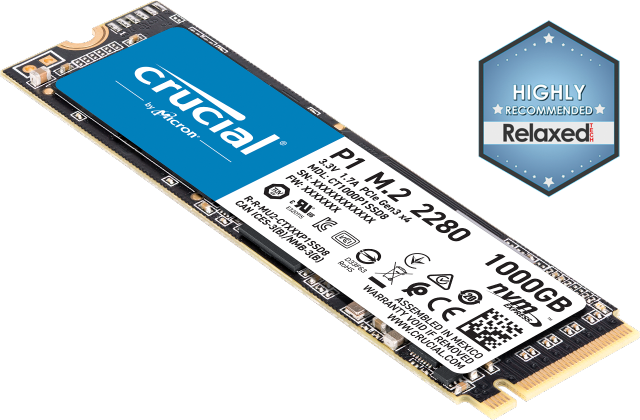 Crucial DDR4 memory for your laptop or desktop. Now available for the latest systems. Find guaranteed compatible upgrades for your Mac system.